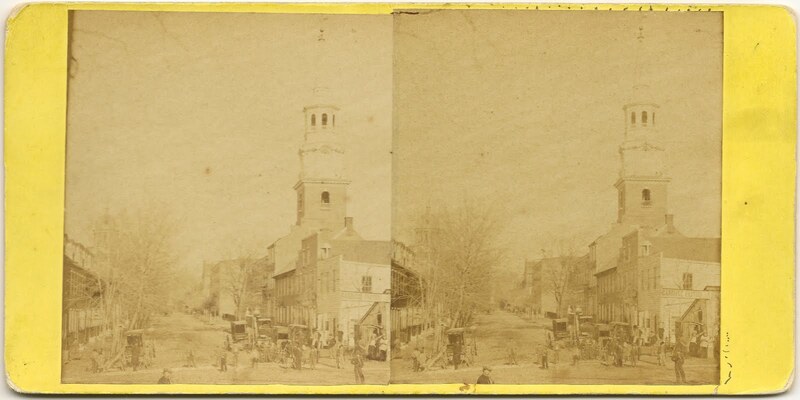 One of the most interesting ways that technology, commerce, and culture intersected during the Civil War Era was the rapidly changing world of photography. Although Lancasterians in the 1850s could have made more expensive and less reproducible daguerrotypes and ambrotypes, photography exploded with the advent of paper photographs in the form of cartes de visite (a topic for another time) starting in Lancaster around 1860. Besides portrait photography, outdoor three-dimensional photography in a format known as a stereoview also took off. Stunning images of Civil War battlefields made their way to exhibition halls and parlors through stereoviews. In the mid-1860s, Gill took several dozen stereoscopic photographs of Lancaster City and County, some of the first landscape photographs ever taken of Lancaster County. Looking at the advertisement on the backside of one of the stereoviews shown below, we can infer the photos were taken in 1866 or 1867 as the Fulton Mill explosion occurred on July 14, 1867. 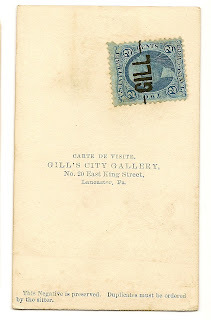 He then sold these photographs to the public as series, including "Lancaster County Views" and "Conestoga Views," at the price of $3 per dozen stereoviews. 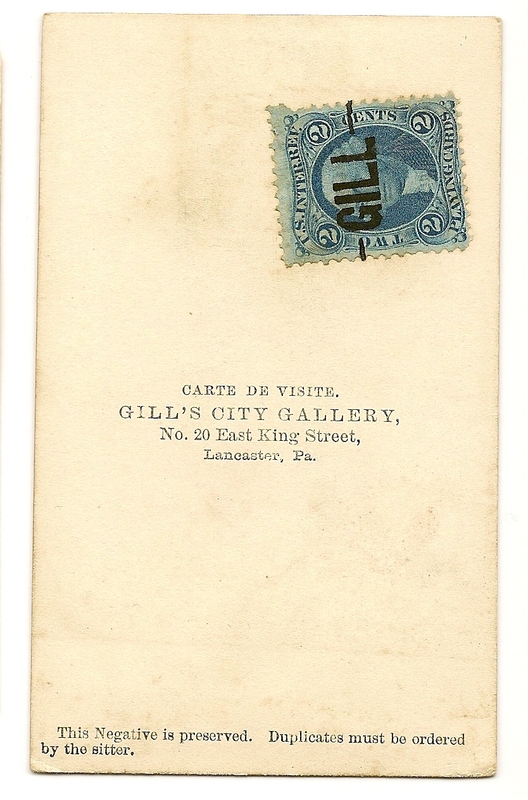 The album below contains some of Gill's stereoviews taken of Lancaster City. Except for the images above and a couple others I gleaned from Ebay (as they're in the public domain), the images come from the Robert N. Dennis Collection of the New York Public Library available through Wikimedia Commons. In the future, I'll post more images of Lancaster County and Gill's Conestoga River series. I'm not quite sure about the locations of a couple of the images and just used what was listed as the location, which may or may not be correct. Feel free to comment if you know the correct information. I should also mention that viewing the photographs in person through a stereoviewer provides a much richer viewing experience than what you will see here, which presents an opportunity for any institution in Lancaster interested in such an exhibition.